When Protect Environmental was founded in 1996, the mission statement was simple, “The absolute best job for the absolute best price”. Since then we have seen what has typically been a male dominated industry allow more women into its ranks. Protect has never had this problem, as it was founded and co-owned by a woman who has strived to make sure women would be woven into the fabric of the Protect family. In 2013 Protect celebrated, when it became a female majority owned business, qualifying us for HUB (Historically Underutilized Business) status. We are proud to say that we have women in supervisory roles as well as in upper management. Protect works hard at staying diverse, not just for diversity’s sake, but to be a well rounded business. Seeing things from a different perspective is what has helped us be a leader in the HAZMAT community for over 18 years. We have also instituted programs that make sure our employees have access to health care and we purchase locally made supplies when possible. This is not to only reduce our carbon footprint, but it keeps our fellow Texans employed as well. The most important program instituted is our “Safety First” program which has been a proven success, evident by our ZERO, yes ZERO, lost hours to work related injuries in over 18 years. Our record makes us one of the best and safest places to work in the DFW Metroplex. Electronics have become an increasingly common sight in the United States and around the world. Businesses and households are constantly relying on computers, scanners, smart phones, disposable batteries, televisions and other devices to get work done efficiently and keep us informed and entertained. The functional lifespan of these devices vary but eventually every device will break, become obsolete or otherwise need to be replaced. 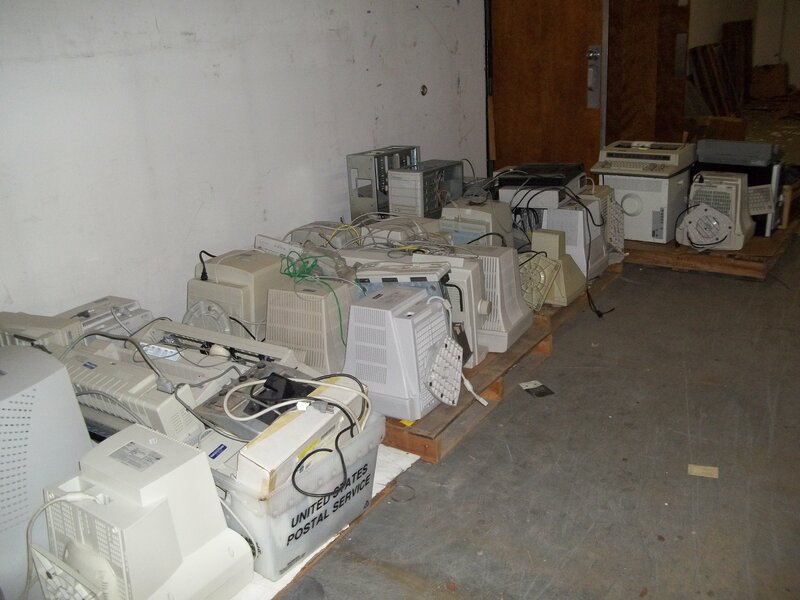 Electronics are commonly referred to as “E-waste” when they are no longer needed and require disposal. E-waste can contain hazardous chemicals such as mercury, barium and lead that leach into the soil and groundwater when disposed of in municipal landfills. E-waste from homes and businesses should be recycled whenever possible to avoid contaminating the environment with these toxins. Electronics also contain rare metals that when reused in new devices can reduce the need for environmentally harmful mining activities. 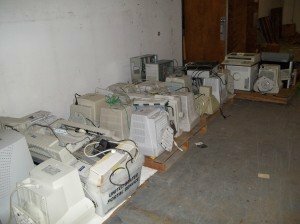 Since some E-waste is also considered hazardous waste, businesses that recycle their unneeded electronics don’t have to worry about them affecting their hazardous waste generator status. Protect Environmental not only handles emergency spill responses but can also help businesses find environmentally friendly solutions for their E-waste, universal waste and hazardous waste. We work with a network of recyclers who turn E-waste back into the useful products that keep our society and economy moving forward. Contact our office to find out how we can help your business or organization with your wastes.